In this review, we are taking a look at the Boulder Boot, a compressible and ultra-lightweight shoe from the Colorado shoe specialists known as Lems. 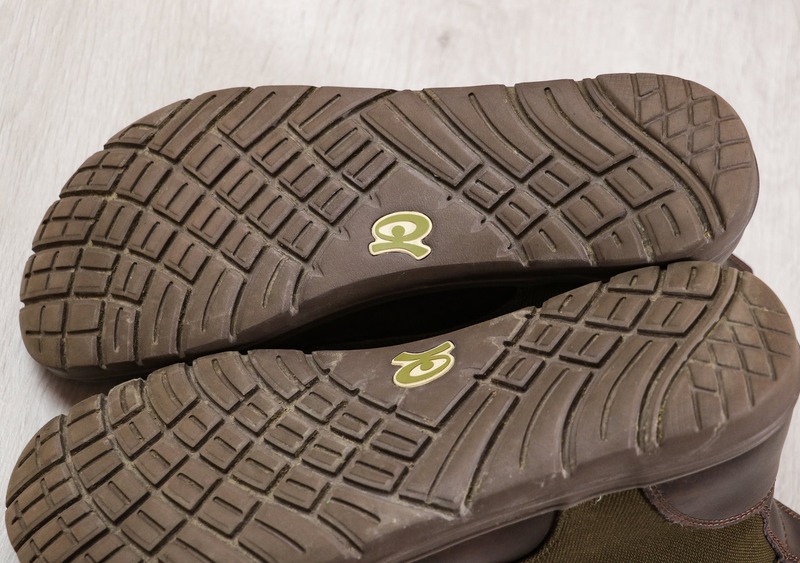 We’ve reviewed a couple of shoes from Vivobarefoot, and we’re well and truly on the “barefoot hype” (we’ll get into all the benefits later on), so we’ve been eager to get our hands on a pair of Lems for a while now. 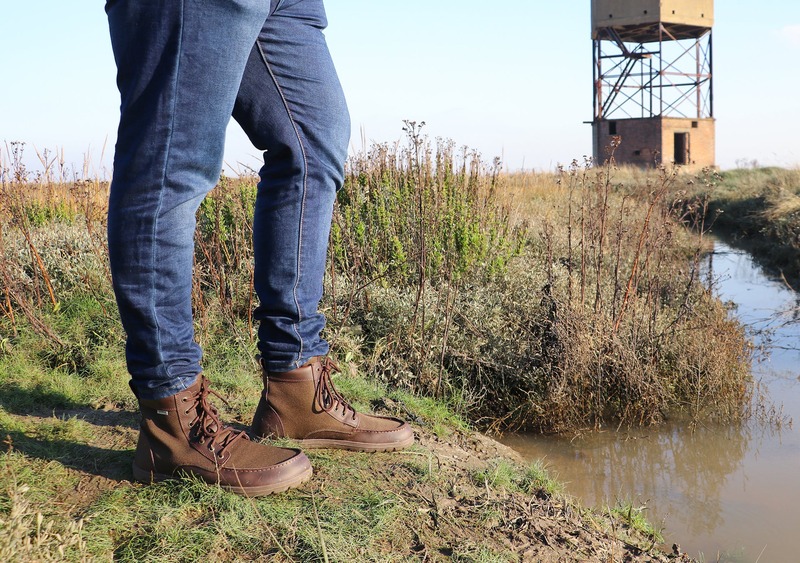 We’ve been testing the Lems Boulder Boots for a little over a month, and they’ve seen everyday use in the cold and frosty winter climate of England. 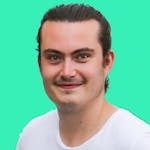 So let’s dive into this review and find out how they’ve performed. 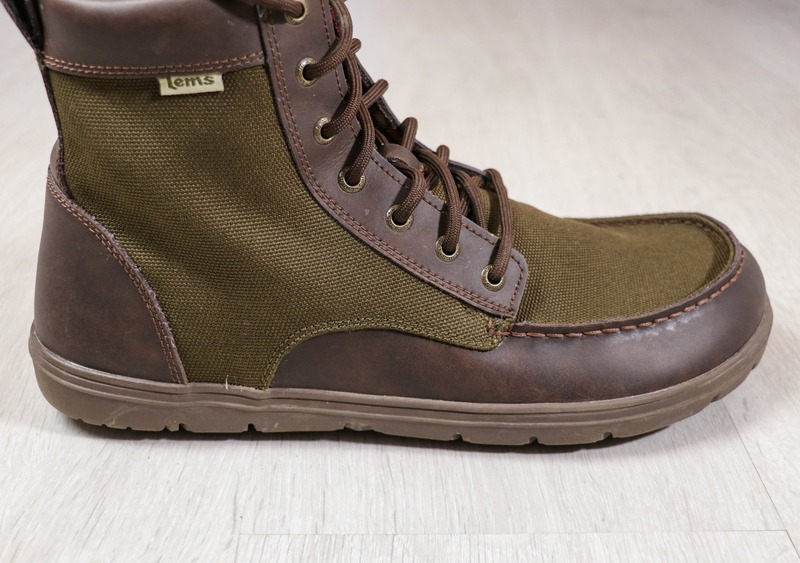 The Lems Boulder Boot looks like your average boot, and we like that. The aesthetic is clean, minimal, and we think it’s pretty hard not to like. However, to our surprise, only 46% of our Instagram audience agreed with us. We’re not sure if this is because people don’t like brown boots or if it has to do with the specific styling, but we did expect better results. At the time of this review, the Lems Boulder Boot is available in five colors—black, brown, timber, buckeye, and navy stout. We went with timber, but we had a hard time choosing one color as all of them are solid options. While the Boulder Boot will look most at home climbing over rocks or wandering through the forest in a national park, we think this shoe looks just as good in urban environments too. It gets a big check in the versatility column here. Just a note: The black color is vegan-friendly and doesn’t have any leather accents. On the flip-side, Lems also makes the Boulder Boot Leather, which is completely leather. And also completely not-vegan, if that wasn’t abundantly clear. When it comes to branding, Lems has kept things fairly minimal, much like the rest of the shoe. You’ll find a logo on the sole, a little tab around the collar, and a “live easy & minimal” mantra on the tongue. We thoroughly enjoy living easy and minimally, so it kind of seems like a match made in heaven. Moving on to the materials, the Lems Boulder Boot has some great stuff going on. 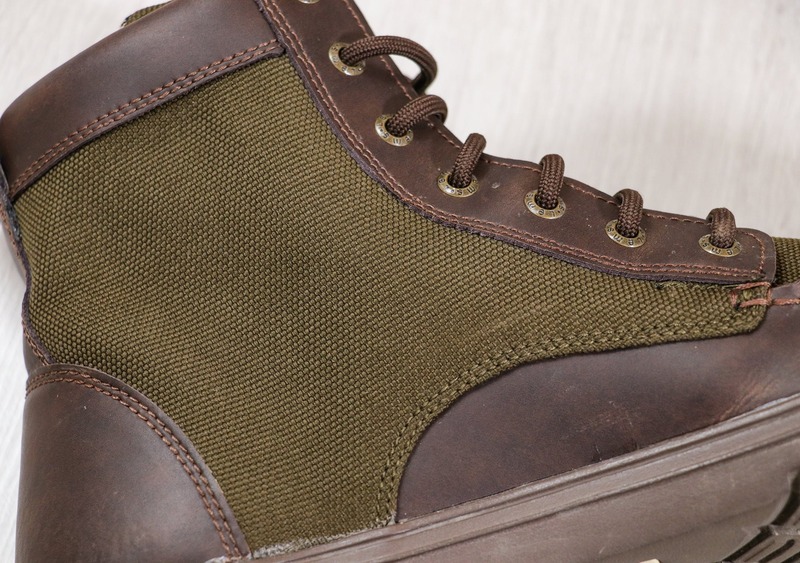 First, the upper part of the boot is 1200D nylon with Nubuck leather accents around the heel, toe, and collar. Both materials are hard-wearing and top quality choices. Lems hasn’t scrimped out here at all, and these things are built to last. Next, the outsole is LemsRubber™, which is made by Lems themselves (or at least we’d assume so, otherwise the name is an incredible coincidence). 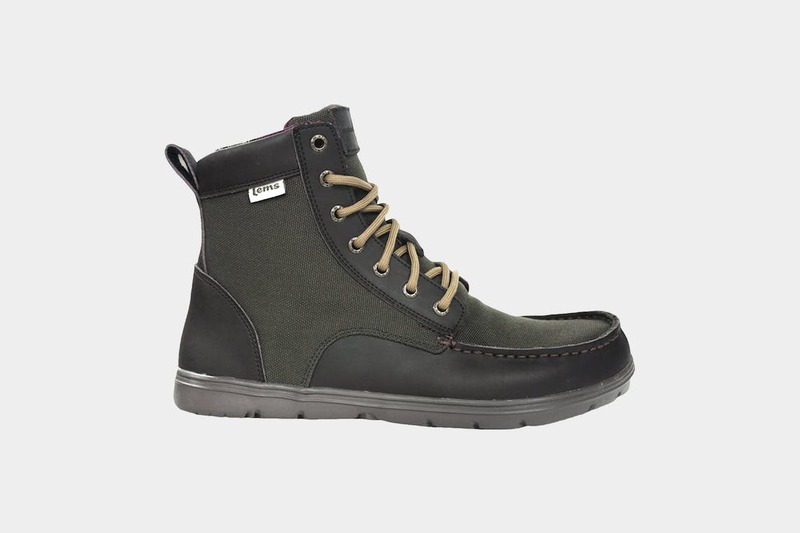 Lems doesn’t give too much away on their site about this special rubber, but we do know it’s air-injected, which makes this boot extremely light compared to others on the market. The outsole is showing no signs of wear after one month of use and gets a big thumbs up from us. We’ll make sure to keep our usage timeline updated below if this changes. 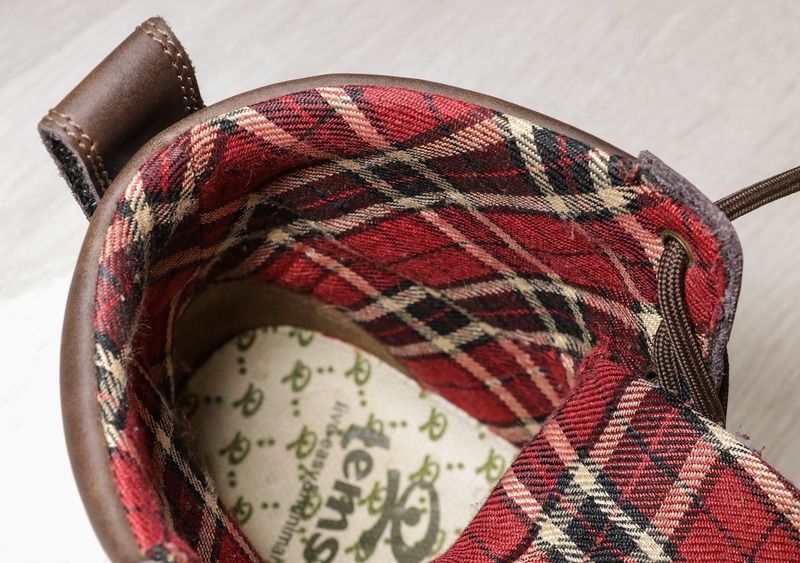 Finally, the lining of the shoe is 100% cotton, which is soft, strong, and provides a nice and comfortable fit. Cotton is also insulating because it traps air between the fabric fibers. Plus, the tartan pattern isn’t too shabby either. It’s important to note that there is no weatherproofing on this shoe. While nylon and leather are somewhat weather-resistant—meaning you’ll be fine if you’re caught in a shower—you won’t want to stand outside in a downpour for too long or step through puddles, as water will definitely find a way through. This hasn’t been an issue in our testing, but it’s something to be aware of if you’re in a particularly rainy climate. 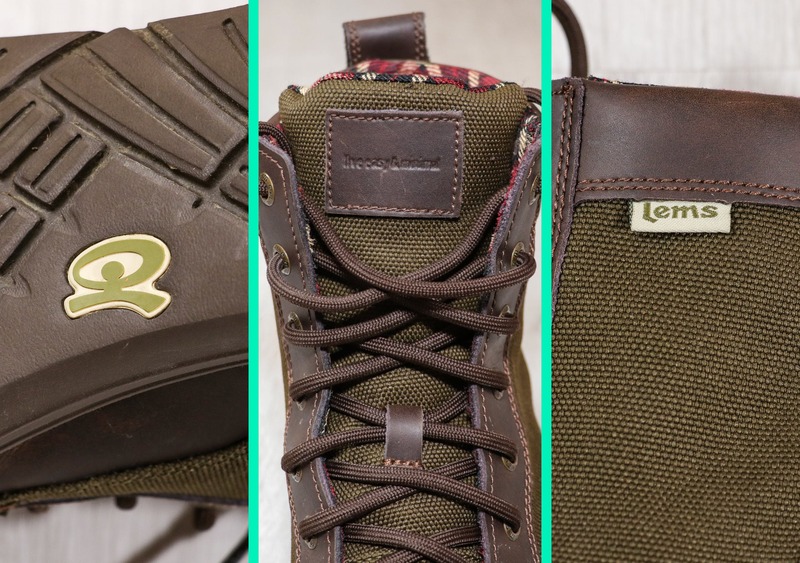 As you can probably tell, the Lems Boulder Boot isn’t just “any old boot,” and there are a fair few benefits compared to the average boot on the market. They’re compressible. We know what you’re thinking, “How can a boot be compressible? !” Honestly, we’re not too sure, but they are! And it’s really quite impressive. 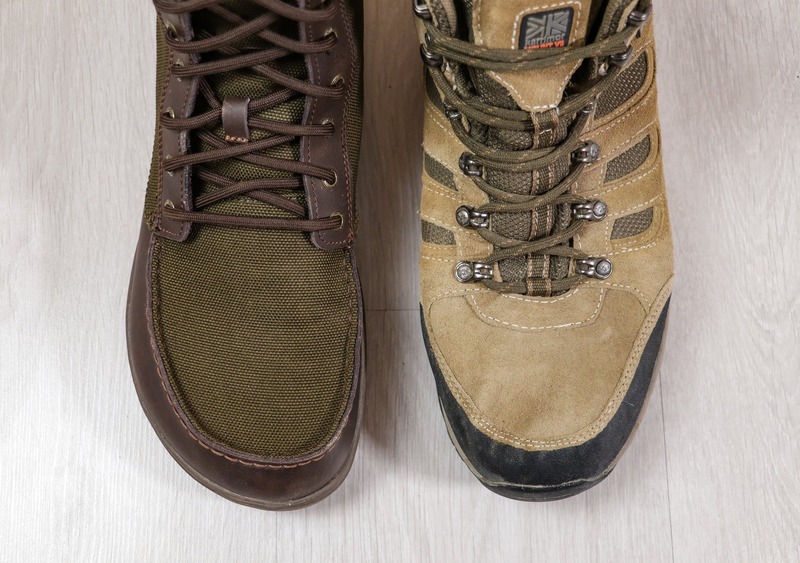 It’s important to note some shoes compress smaller, like the Vivobarefoot Kanna, Gobi II, and Lems Primal 2, but the Boulder Boot gets pretty tiny for a boot! We haven’t needed to pack these away—we generally opt to wear them in transit instead—but it’s nice to have the option. They’ve got a wide toe box. 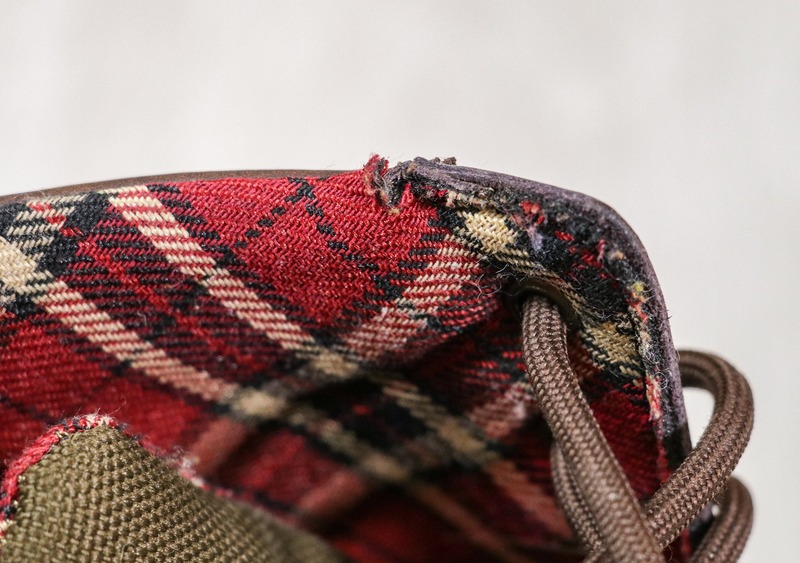 Traditional shoes have such a narrow toe box (the front of the shoe) that they can squish your toes together over time. Not good. Thankfully, brands like Lems have noticed this and are fighting back. The wider toe box allows your toes to rest as nature intended, and we’ve got to say, it feels right. We were worried that the wider front might look odd, but we’re happy to report it looks just fine and our toes are a lot happier because of it. They’re a zero drop shoe. 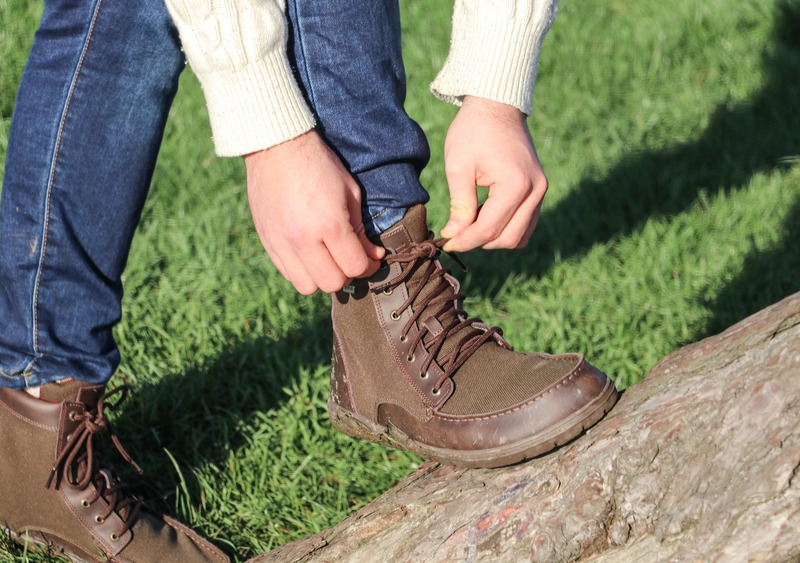 Unlike most shoes, there is no elevation from heel to toe on the Lems Boulder Boot. Supposedly, this zero drop design aligns your spine and corrects your posture, alleviating lower back pain. At this point, we’d like to point out we’re not scientists nor are we doctors…but we have noticed the benefits. This doesn’t mean that every other shoe is bad for you, and we don’t expect sneakers like the Nike Air Max to go away anytime soon either, but we’d recommend trying a zero drop shoe to see how they work for you. They might surprise you! 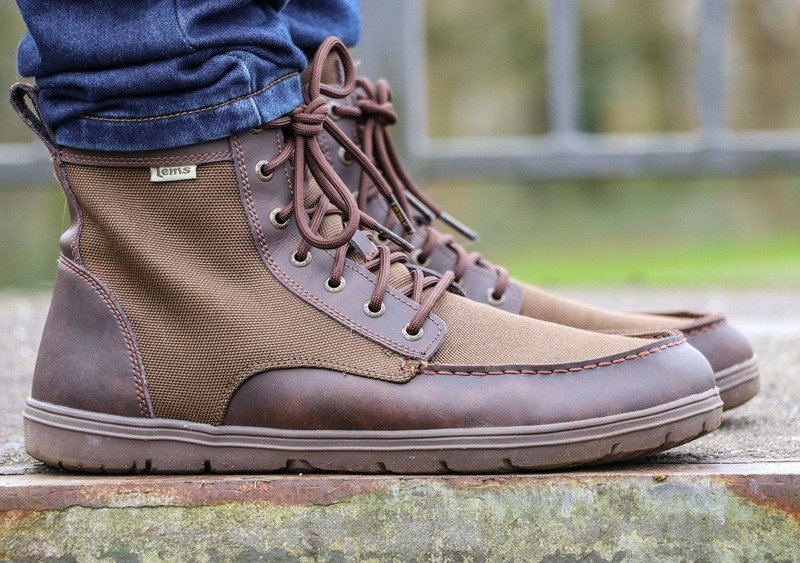 At the time of this review, we’ve put the Lems Boulder Boots to the test for just over a month in the cold and rainy English winter. When it comes to durability, Lems gives these boots a 300 to 600 mile life-expectancy, and they’re looking good for it so far. The cotton lining around the collar looks a tad susceptible to wear and tear, but it’s okay for now, and we’ll make sure to keep our usage timeline updated below if anything changes. Just a note: We’ve found the leather around the ankle takes a week or so to soften. And while it didn’t rub, it was a bit uncomfortable. You might want to wear them sparingly at first and be sure to break them in before a big trip. 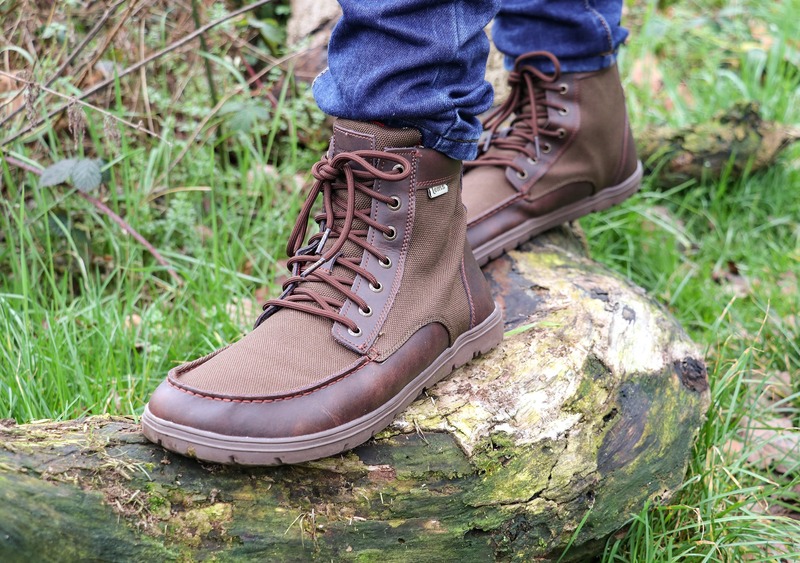 In testing, the Lems Boulder Boots performed well in most terrains. There’s enough grip for a slice of adventure while remaining perfectly usable in urban environments too. Looking great out of the box, and they’re so lightweight! It took a couple of weeks to get used to the barefoot design, but we’re really digging them. The Lems Boulder Boots are some of the lightest, most compressible, and minimal boots on the market. Better yet, they’re made with top-notch and highly durable materials. We’ve been impressed with their versatility across different environments, and while there’s no specific weatherproofing, the natural weather resistance of the materials is enough for most use-cases. 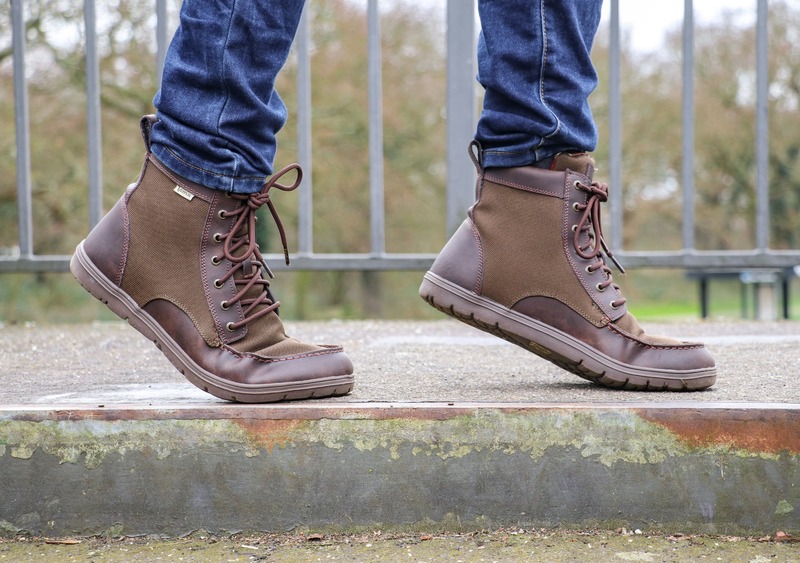 The minimal design can take a bit of getting used to, but the Lems Boulder Boots are a fantastic pair of shoes if you’re interested in joining the barefoot movement or you just want a good pair of boots to travel with.